A man of limited yet precise words, Andy Roberts, talked about commitment issues within WI cricket. 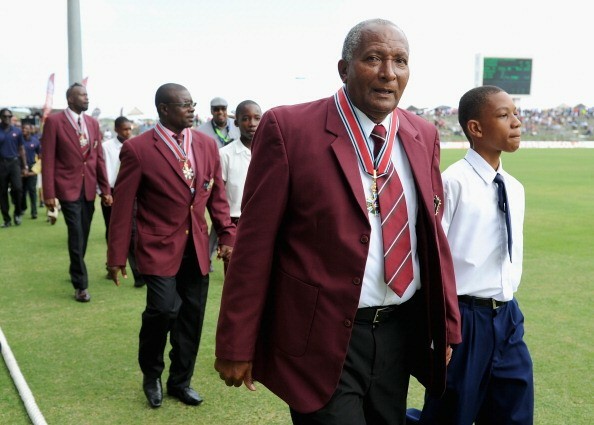 Legendary West Indian fast-bowler, and a part of the deadly Caribbean quartet containing Michael Holding, Joel Garner, and Colin Croft as his partners-in-crime, Sir Andy Roberts, has derided the bowlers who sledge in a cricket match, calling them cowards- his criticism being as sharp as his bowling. Roberts was speaking in an exclusive interview with the Times of India, during his stay in Pune, where he arrived to visit the cricket museum ‘Blades of Glory.’ The 64-year old talked about the problems with West Indian cricket, fast bowling attacks of this age, and the areas of improvement for the Indian Cricket team. Hailing the quartet as one of a kind, the legend was of the opinion that he is unlikely to see such a bowling attack, at least for as long as he is alive, for each of the four bowlers were different in temperament, height, mannerism, and skills. It was this difference, the former pacer felt, that made the attack lethal. On sledging, something that has been seen as a part of the game by some nations, the knighted gentleman had a contrasting opinion. “Sledging has always been there. I don't think they sledge half of as much now as they did in the past,” he said. On India’s progress inTest cricket, given their recent exploits against South Africa at home, Roberts was far from impressed, as he felt that India haven’t stuck to their strengths of having quality spinners, as it used to be during his playing days. Criticizing the doctored pitches being prepared to extend the home advantage, the Caribbean felt that too much of tampering with the wicket has taken the sheen off the Indian spin attack, which is the reason why they struggle away from home. Calling for more practice in the net sessions, the 47-Test veteran said that India needs to have a set of bowlers who can consistently clock between 90-95mph to do well outside Asia. He said that a major reason behind the injuries that occurred to cricketers these days was a lack of practice sessions. The conversation then moved on to the plight of West Indian cricket, to which he remarked that there was just ‘so much wrong’ with it. He blamed the sense of international commitment that was lacking from the players as a major reason behind their debacle. “Some of them (players) may tell you that they don't owe anything to West Indies cricket, but they (owe) some gratitude towards the West Indies cricket board and public because they didn't come up by themselves. The Decision Review System (DRS) put in place to eliminate umpiring errors has been a topic of debate and discussion all around the world, with the game’s global governing body, the ICC, making consistent changes to its methodology. The latest inclusion of ‘umpire’s call’ while adjudging lbw decisions has come under criticism from many of the game’s stalwarts, and Sir Roberts is no exception to it. He believes that while the induction of DRS into the fray is good for cricket at large, he is completely dissatisfied with its ball-tracking technology. Revealing the complexities of a leg-before decision, the man who himself openly expressed displeasure over a similar decision that had gone against him, said that it takes a lot of pressure off the officials, as no umpire can tell whether the batsman is out or not. They just give a signal- implying, they tell what they think.